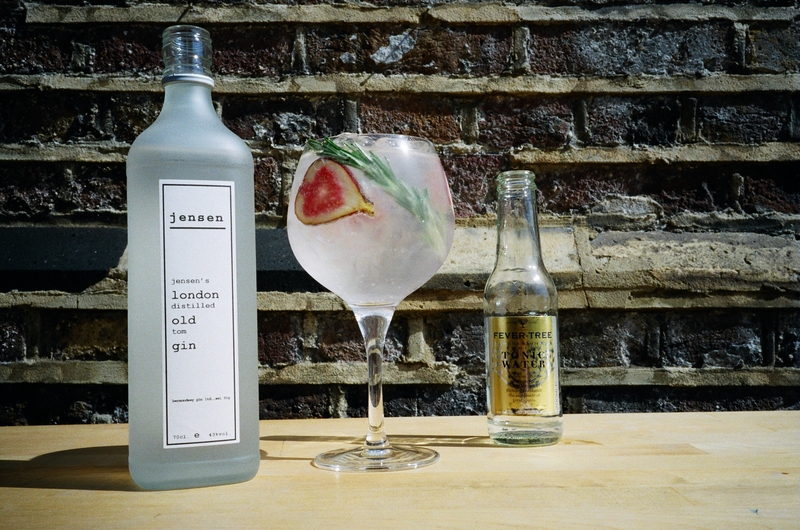 A We are Jensen’s Bermondsey Gin, a craft gin made in a railway arch in South East London. 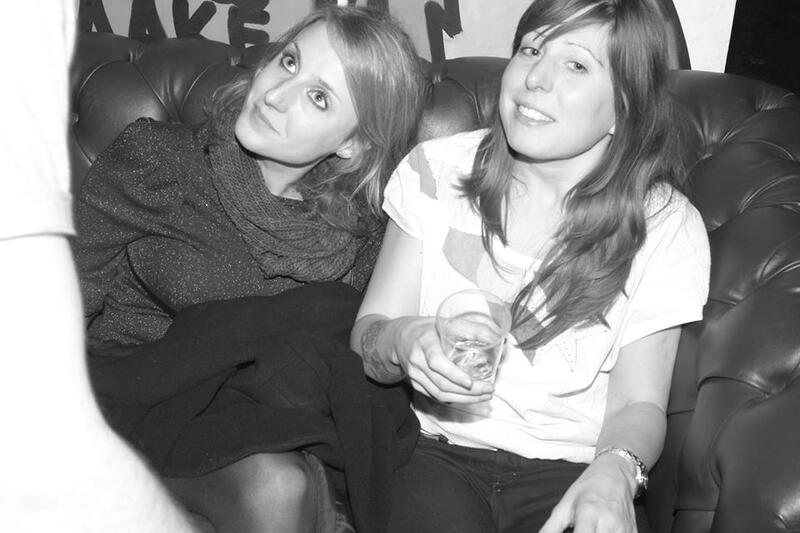 On the left is Anne and she’s the Distiller, and my name is Hannah Lanfear and I’m the Brand Ambassador. A We have two lovely gins, both of them historical recipes: the Bermondsey Dry is a soft and smooth gin with a wonderfully perfumed botanical recipe; and the second is an Old Tom, a gin style from the late 1700s-mid 1800s. Our recipe is from 1840 and has a complex flavour that mixes amazingly in classic cocktails and, most importantly, with tonic! A This year is our tenth anniversary. 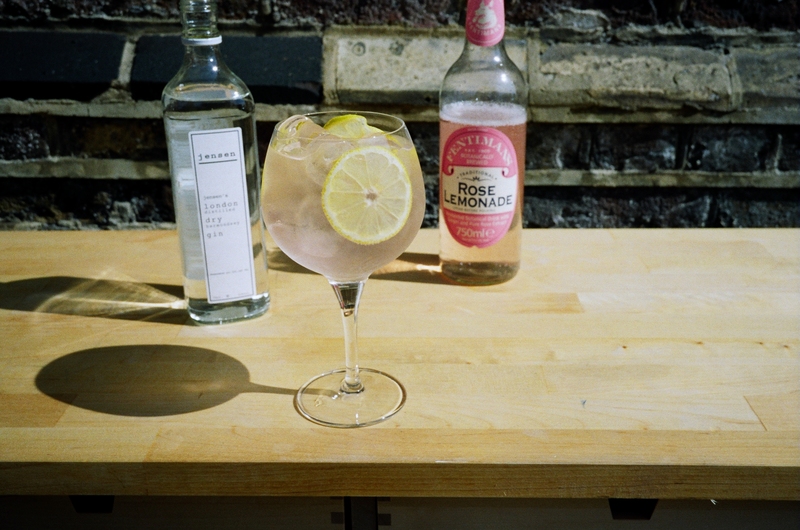 A Over the last decade we have found our gin becoming increasingly popular with London’s finest cocktail bartenders. It’s a really excellent gin, and unique in that these are historical styles of gin. We definitely have a position that could elevate us to being a household name. A We were founded by a Dane, Christian Jensen, hence our Danish design labels and pared back packaging. He’s a huge ‘gin-o-phile’ (ok we made that word up) and a super knowledge on the subject of London and gin, and he settled in Bermondsey thirteen years ago with a passion to make the best gin in the world. We feel like the plan is coming to fruition! A I can do the rap from the middle of TLCs ‘Waterfalls’ word perfect. It’s a proud moment for my mum I’m sure. Q What’s been your biggest challenge to date? A Opening our own distillery has been a real challenge! It’s a minefield of licensing, and coordinating the building of the gin still and so on has been a year-long task. We are finally at the point where we are ready to distill in our very own distillery, and it is very, very exciting. A Probably Sipsmith – they have been a key influence on distillers striking out to bring the art of gin distilling, and importantly the making of London dry gin, back home to London. They’ve made a massive success of it, so hearty congratulations to them. A Because our gin is delicious, we are delicious, and though we’re only small now it’s always good to root for the underdog! A We’ve just discovered Woodford & Warner sorrel syrup; it’s just delicious. We’ve been mixing it half and half with our Old Tom gin over ice, with a big slice of orange – it’s just heaven. This entry was posted in Britain's Next Top Supplier and tagged #TopSupplier, Britain's Next Top Supplier, British Food and Drink, British gin, competition, gin, Jensen gin, London, Ocado, Ocado deliveries, Ocado Vouchers, shopping, spirits by Naomi. Bookmark the permalink.